During a visit to the headquarters of Hamilton, the Swatch Group company specialized in entry level luxury watches, MattBaily.ca webmaster and blogger Marco was introduced to all the new models of 2010. During the meeting 1080p Full HD footage was shot and the edited videos are currently being edited and published. Highlights of this year’s new Hamilton watches include the interesting Pulsomatic that runs on an self-winding movement, but displays the time on a digital display. 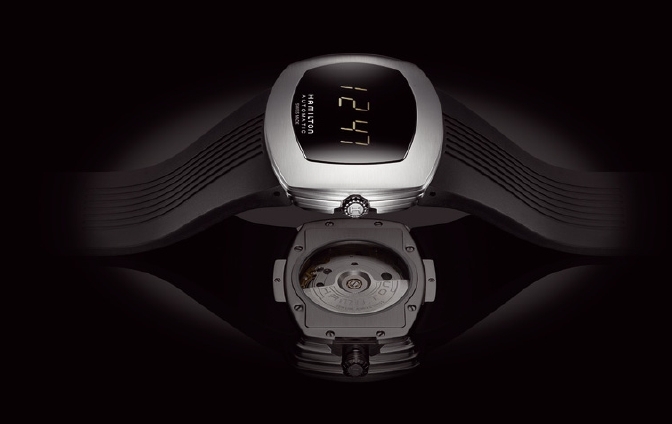 The retro-futuristic piece is inspired from the world’s first digital watch that was manufactured by Hamilton in 1970. This combination of classic watch making and modern high-tech style reflects Hamilton’s innovation and their pioneer status. Three new mechanical models for women reflect Hamilton’s desire to reach out to what the company refers to as an under-served market. The strategists at the Swiss manufacturer believe that women lack options for well priced, mechanical watches. If the market is as strong as they think, Hamilton will be amongst the leading manufactures of mid-size mechanical watches at the entry luxury price level. Particularly striking amongst these new ladies’ models is the Railroad Automatic, which runs on the self-winding 2824 calibre by E.T.A and starts at only C$950. It also showcases a new system of straps that incorporates easy-to-use pushers that allow the owner of the watch to interchange bracelets quickly and without tools. The 38mm size is not oversize, but far from the tiny timepieces that women had a decade or so back. The rest of the Railroad series is also noteworthy. The largest model in the series is the chronograph, who’s stainless steel case spans 46mm. It is equipped with a Valgranges A07-211, a fantastic movement that is greatly less common than the 7750, albeit still manufactured under the control of E.T.A. 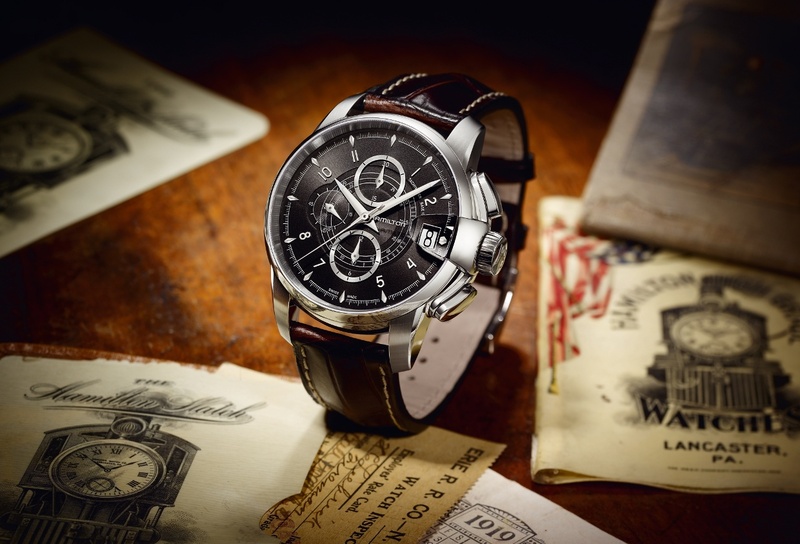 One category that is never forgotten by Hamilton watches is the aviation-style watches and this year there are several new additions. Amongst the first releases of 2010, and already available for purchase is the 46mm, automatic, Khaki King Pilot. It captures the traditional “Big Pilot” look very nicely but is offered at amazing value, starting at C$995. Watchpaper readers already know the next one. If you haven’t read HAMILTON Khaki X-Landing it is worth taking a look at, and it is featured in a video presentation embedded below. Fans of good ol’, classic, vintage elegance will not be disappointed. A few minor retouches have been done to the very popular Jazzmaster Slim to create the new Slim 43 Petite Seconds. As the name suggests these changes include the addition of a small subsidiary dial for the seconds. In order to compensate for the added thickness of the small seconds, the back of the case has been “closed.” While no longer see-through, the case back is engraved with the company’s vintage logo. I had a real good time visiting Hamilton headquarters. I thank Vivian and Martine who helped me organize it and showed all the amazing new Hamilton watches. Marco is a webmaster and blogger for MattBaily.ca and an enthusiast of Hamilton watches. If you do not see a video embedded here, visit the original post on watchpaper.com.